This is a great looking cross-shaped sign. The sign is 45″ by 30″ and is a dark maroon color. 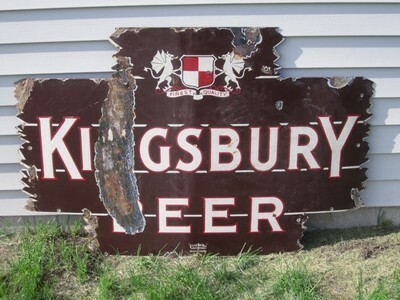 The sign has text that reads “Kingsbury Beer.” There is a seal at the top.